South side two-story home is close to schools, shopping and restaurants. Main level features living room with gas fireplace, eat-in kitchen with gas range and separate dining room. 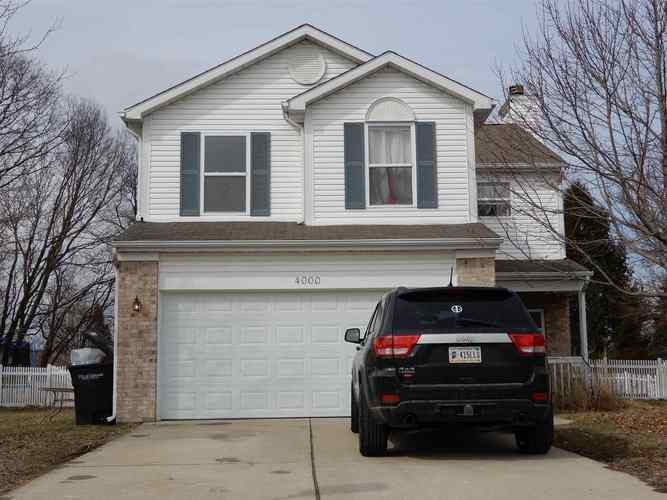 Four spacious bedrooms on upper level and 2 full baths. Community playground in Woodfield Village. TSC-Wea Elementary & Middle School, McCutcheon High School. Directions:Off S 18th St (south of Veterans Mem Pkwy), turn right into Woodfield Village. At the "T" take a right and follow around to the back. House on the right.